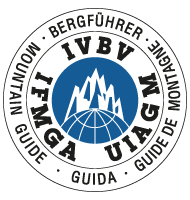 British Mountain Guides training scheme pre requirements. Please note that the deadline for applications is the end of May each year. Submit the Association’s medical form completed by a medical practitioner. At least 50 multi-pitch climbs led at El 5b or above in a wide variety of areas in the UK. Technical leads at E3 5c are recommended as this ensures that the applicant is consistent at E1 5b. A comprehensive list of at least 50 snow and ice climbs of Grade III and above, of which 20 must be at Grade V or above. Over 70% (thirty five) of these should be in the Scottish mountains in a variety of areas. Non-UK experience may also be taken into consideration e.g. ice grade 4 in France or Canada, but the majority of experience logged must be UK/Scottish. Twenty ascents of major summits, ten of which must be TD or harder. As a guideline, experience in the European Alps should include a minimum of twenty routes, at least ten of which should be Alpine TD standard or above. Of these ten routes five should be at least 800 metres in length and be mixed routes of a serious and committing nature (i.e. classic North faces or similar). Greater ranges experience will be considered but the majority of routes and experience must be in the European Alps. Applicants must include the names of climbing partners on all significant ascents.  Provide details of skiing ability on and off-piste including a minimum of thirty listed days of ski-mountaineering experience in glaciated Alpine terrain. Fifteen days or more of the thirty listed days must be linked days consisting of at least three consecutive nights in huts on recognised tours. Ski touring and skiing expeditions outside of Europe will be considered but the majority of ski-touring experience must be in the European Alps. Applicants are expected to ski all pisted runs with good style and demonstrate good balance, posture and control whilst skiing linked-parallel turns of varying radius. Applicants should cope well in all off-piste conditions showing the ability to ski safely, effectively and in control. The applicant must be currently operating at the standards mentioned above. Provide written references from at least two referees, one of whom must be a fully qualified Guide. The Guide must be able to vouch, at least in part, for the authenticity of the candidate’s application and be prepared to help and advise him/her through the scheme as a mentor. The Training Officer/Training Committee can assign a guide as a referee if the applicant does not know a Guide. One referee must be able to attest to the candidate’s good character. Provide details of a current first aid certificate with a mountain component. List any relevant qualifications held e.g. MIA, MIC etc. Send a copy of your application form to both referees along with a pro forma for the referee to verify your application. It is also recommended that the candidate obtain as much experience and observation of instructing as possible prior to entering the scheme. Candidates should note that the prerequisites are high to help ensure that those who embark on the scheme have the commitment, experience and technical ability required to complete the scheme successfully.